A cable can be characterized as a medium or a tool through which signals are being propagated or transferred from place to another. These signals can be electrical signals such voltages and currents, electromagnetic waves, or micro waves as in telecommunication or as the case maybe, with all these we will come to understand that different professions implies a certain category of cable to be successful in a given task. Specifically here am going to talk about the Ethernet cables types, functions and how you can manage them in your networks. The fiber optic cable: This can be also called optical cable hence the design allows it is carry very large amount of data over a long distance telecommunication system from one area to another. The fiber optic cable transmits it’s signal in form of light. The structure of fiber optic cable is coated with plastic layers and contains a protective tube, for suitable environment where so ever the cable is been deployed, hence change in climate might not possibly be a problem. reflection and more data carriage. The fiber optic cable is meanly used by upstream service providers at their various terminals and organizations who are searching for uninterrupted internet signals. The Problem: one major problem the fiber optic service provider face is the dualization and renovation of the part ways, just as in some countries who’s economy does not make provision for tunnels,the road renovation contractors keeps damaging the underground cable. Even though that fiber optics cable has many advantages the transmission limitation of fiber optic cables when it’s bent will start to leak some of their signals, this might even enable attackers to tamper with the signal. 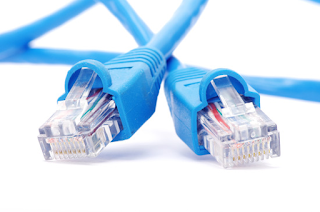 The Ethernet local area cable: The category 1 , 2, 3, 4, 5, 6, 7, are all Ethernet cables types used in layer one level connecting a user within a range of 100meters and supports a speed of up to 10Mbps to 1Gbps depending on the category selection. These cables comes in two ways: the (shielded STP), and the (unshielded TP). The shieleded type comes with an extra protective foil inside to further protect the cable against crosstalk and interference hence it is used mainly for outdoor and might be subjected to several temperature and climate changes. It is obvious that the mostly commonly used cable is the unshielded twisted pair cable used for Ethernet,Gigabit Ethernet, FastEthernet, and Token Ring which is being done mostly indoors, it might probably be long if we continue listening these cables and their categories, so lets look at the categories of these cables in a tabular format. Ethernet, FastEthernet and Gigabit Ethernet. The cat1 cable is use for telephone wires capable of supporting computer traffics and it’s not twisted. The cat 2, cat 3 and cat 4 supports base-T-Ethernet and Toking Ring supporting from 4Mbps to 16Mbps but in some place where better speed is required Cat 5 is to be used. The Cat 5, Cat 6 and cat 7 cables are twisted 4 pair cable making the entire cable eight stripe and runs high speeds from 100Mbps to 10Gbps. The Cat5 which seems more popular was later replaced by Cat5e normally i termed it as an upgrade hence it allows it to support up to 1Gbps of speed. Later in the year 2009, the Cat 6A come in Vogue as a higher standard cable specification cable offering resistance to crosstalk and interference in a better way. All these upgrades in cable did not eradicate another either from the field or from the market but they were all done for better harmonization and to improve cross-talk specification and electromagnetic interference,it all depends on operation the organization wants to perform with the cable. In conclusion it highly recommended that all components used in installation of any category of cable must be certified otherwise the installation might fail in performance. How To fix Problems With Mkrotik Ethernet Freezing. ← Finally I come to find out how you can triple your blog traffic in just two weeks.